Hi everyone! We’ve got an adorable bunch of pups to share with you this week! The personalities are just amazing on these new babies and we know they can’t wait to find their forever families and start building lives with you! 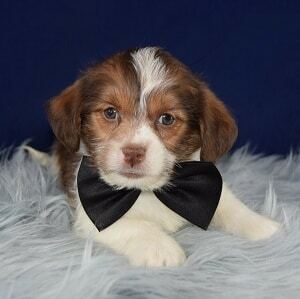 Ridgewood puppies always go home their puppy shots completed and our Lifetime Warranty. This sets us apart from many other breeders/shops out there and shows you we are very confident in our pups’ health! So, it’s spring, and many of you are outdoors cleaning up the winter mess and just soaking up the sunshine we are finally being offered again. What better way to enjoy this spring than to have a tiny, four legged tot keeping you company everywhere you go? Stop in anytime to meet our pups! 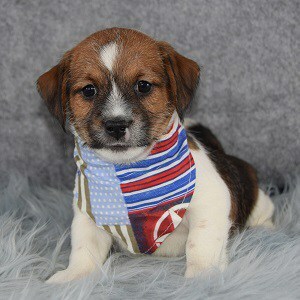 We have tiny to medium sized pups, lazy to Olympic athlete type pups, and all types of looks! They hope to see you soon but in the meantime, enjoy the new puppies below! This week, Ridgewood welcomes Poseidon, Hermes, Apollo, Athena, Persephone, Duke, Firefly, Lady Bug, Cricket, Butterfly, Tucker, Tennessee, Jersey, Mississippi, Alaska, Louisiana, Sasha & Patches! First up, we have a gorgeous litter of Jack Tzu puppies! 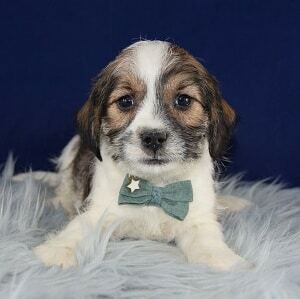 So we’ve had quite a few litters of Jack Tzu over the last several years and people always ask us being a mix of Jack Russell and Shih Tzu, what kind of dog they grow up to be. Short answer? Amazing! Long answer? You get a dog who can keep up with any outdoor activity, and always makes you proud in any athletic scenario but who also is so well behaved indoors and loves snuggle time. They can be active but are very mature and not overly silly during playtime. Poseidon, Hermes, Apollo, Athena and Persephone are five of the sweetest, most affectionate pups and they can’t wait to make a home with you! Stop in today to make one of them yours! Duke is up next! 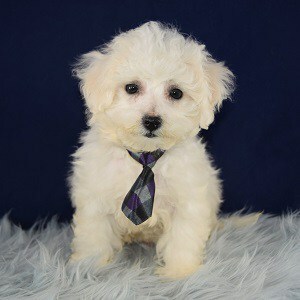 This gorgeous little boy is a purebred Bichon Frise and is sooooooo excited to meet you! Duke is just full of joy. Nothing gets him down and he is always eager to cheer everyone around up! Bichons are a wonderful breed for people who have allergies, and they are great with kids. They’re so fun and happy, but are very gentle when they play and always want to make sure everyone is having a good time. Bichons train really well and are always eager to please their owners. Duke can’t wait to meet you and start an amazing life with you, so give us a call today to make him yours! 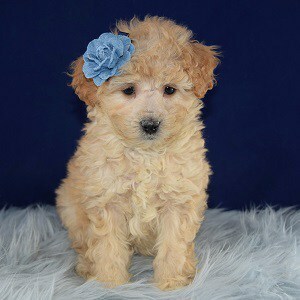 Up next we have four very sweet Yorkiepoo sisters! Firefly, Lady Bug, Cricket and Butterfly have such sweet personalities. They are so charming and love to make new friends to snuggle with! Yorkiepoos are a mix of Yorkshire Terrier and Toy Poodle. They love affection and know how to have a good time during playtime. These four girls will be nice and small as adults and can’t wait to start getting lots of cuddles and kisses from their forever mommy or daddy! 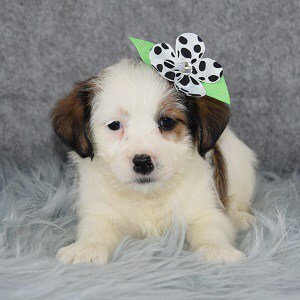 Reserve one of these cuties online today! Tucker is up next! 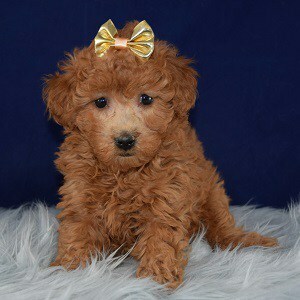 This gorgeous Poodle is full of love and affection! While he’s definitely not the tiniest Poodle we’ve ever had, he is perfectly content curling up on a comfy lap and staring longingly into his human’s eyes. It’s quite hypnotizing! 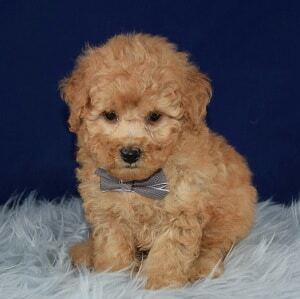 Poodles are very easily trained because they are just so smart and Tucker is no exception! They are a great choice for people who have allergies, and are very adaptable to either quiet, calm households or active, always on the go households. Tucker can’t wait to meet you, so stop in to make him yours today! We have a beautiful litter of Cockapoos up next! These tiny pups are so full of life, we don’t know how they pack all that happiness into their tiny bodies! 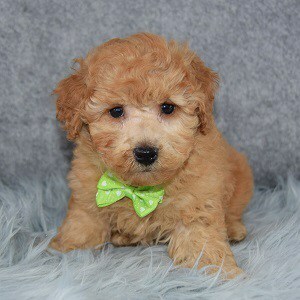 They are a mix of Cocker Spaniel and mostly Toy Poodle. They should be non shedding full grown (though it can’t be guaranteed with the Cocker in there!) and are wonderful with children. Cockapoos do great with training and are a good choice for first time pet owners. Tennessee, Jersey, Mississippi, Alaska and Louisiana can’t wait to get out in the world with you! Pop in anytime for a visit to see if one of them might be your next pet! 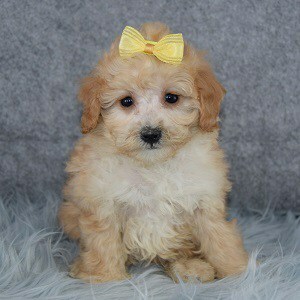 Now we have Sasha, a sweet and bubbly little Shihpoo puppy! This funny little girl is such a social butterfly. She loves everyone around her and always wants to make sure everyone feels loved too. 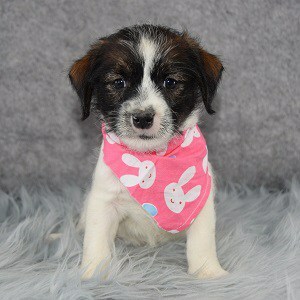 She is half Shih Tzu, half Toy Poodle and is another pup great for people with allergies and good with children. She’s always so eager to please those around her and we just know she’s going to make an amazing pet for someone! Give us a call today to make sure that is you! 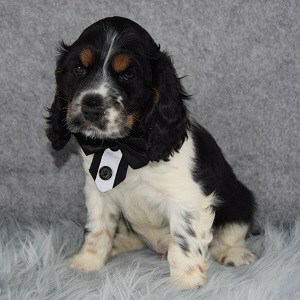 Last up for this week we have Patches, a beautiful purebred Cocker Spaniel! This gorgeous boy is such a typical Cocker in personality. He’s always seeking human approval (which we have no problem giving!) and always wants a pet or a snuggle. He’ll bumble around the play area and then stop quickly, with a funny look on his face as if he just remembered he hasn’t had affection in 47 seconds so he must find a human for a pet or tummy rub. He is just the sweetest and he can’t wait to find a family to bond very closely with. Stop in or reserve Patches online today! That’s all for this week! Thank you so much for checking out the new puppies! Stop in for a visit with them anytime. 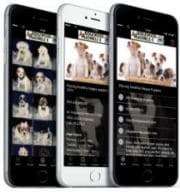 We’re open seven days a week and are more than happy to help you choose the best pup for your family! See you back here next Tuesday!